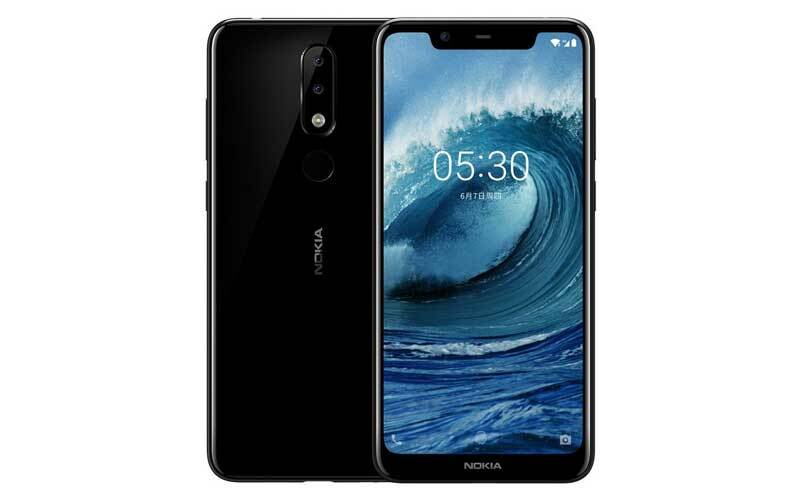 After unveiling the Nokia X6, now the company has launched another smartphone in the X series called Nokia X5. That said, the Nokia X5 was expected to launch on July 11, but the company delayed and unveiled today. The device comes with 2.5D glass on both front and back, and the sides are made with the polycarbonate. Let’s check out the specs sheet. It comes with 5.86 inch HD+ 2.5D curved glass display along with 19:9 aspect ratio and has 1520 x 720 pixels resolution. It is powered by 2.0 GHz Octa Core Helio P60 processor and paired with 3/4 GB RAM, along with Mali-G72 MP3 GPU. In terms of storage, the 3 GB RAM variant has 32 GB of internal storage and the 4 GB RAM variant has 64 GB of onboard storage. Well, if that’s not enough for you, then the device allows to expand the storage upto 256 GB via microSD card. Moving to the camera, the device has dual camera setup at the back which is in a combination of 13 megapixel (f/2.0 aperture, PDAF) + 5 megapixel with Portrait Mode and LED flash, along with an 8 megapixel front camera with 80.4-degree wide-angle lens, f/2.2 aperture, and Portrait Mode. And the cameras of the device also have the AI abilities. Moreover, the device also supports the fingerprint scanner. Talking about the connectivity, it supports Dual 4G Dual VoLTE, Bluetooth 4.2, Wi-Fi 802.11 a/b/g/n/ac, FM, 3.5 mm headphone jack, USB Type-C 2.0, and GPS. The Nokia X5 runs on Android Oreo 8.1, and HMD Global promises to roll out the Android P. The smartphone is backed on 3,060 mAh battery. The 3 GB RAM variant is priced at ¥999 (approx. ₹10,195), and the 4 GB RAM variant is coming with the price tag of ¥1399 (approx. ₹14,275). The device will be available for pre-order in China from July 19 via Suning.com, and there’s no information about the availability of the device in other parts market.